This week we were lucky enough to receive some new adorable little friends for Evelyn in the post... Shnooks! Shnooks from Zuru are soft cuddly companions that are small enough to be carried around and soft enough to be cuddled all day long. 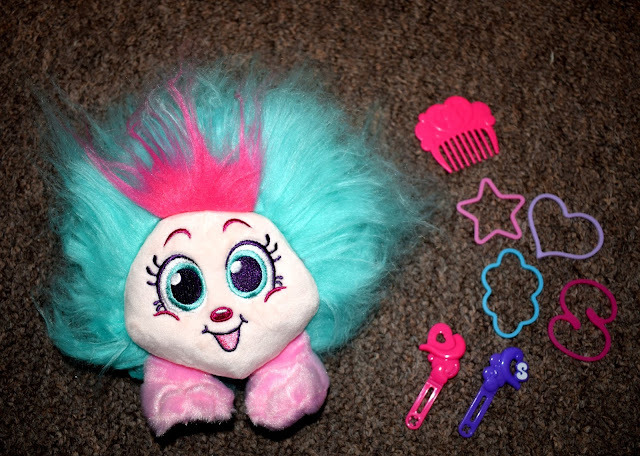 Their huge hair is perfect for brushing and styling with every Shnook coming with its very own comb, hairbands and clip. Evelyn loved styling the hair and being able to comb it whenever I brushed hers, providing a much welcome distraction! I have to admit that I thought the Shnook was going to grow a little more than it did. It says 8x bigger and I think the hair definitely got much bigger but the body didn't really "puff" out and stayed quite thin. 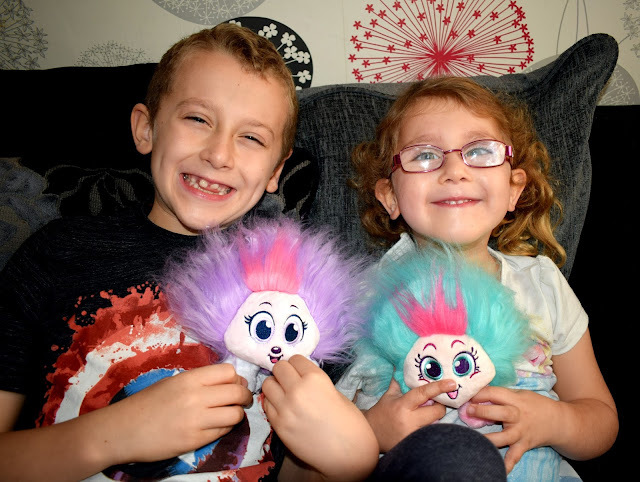 However the kids absolutely loved them and at only £7.99 they won't break the bank. Making these toys a great stocking filler for Christmas. 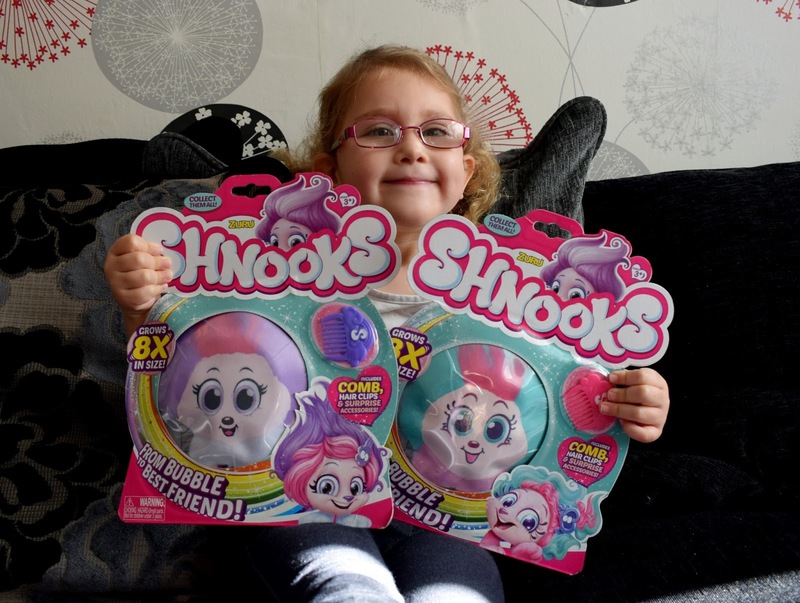 There are 6 Shnooks to collect and they are available to purchase from most toy stores including Tesco, Asda, Argos and The Entertainer. Do you think your kids would love Shnooks? They look like fun for Christmas - and it's a clever idea to make the unpacking part of the fun of the toy. I've seen these advertised on the children's channels. It makes it look like they grow quite a bit. I'm sure mine would love them to they are quite cute aren't they. Wow cute toys. My kids would love them.